Attakkalari Centre for Movement Arts is hosting Bengaluru’s biggest community dance showcase on Sunday, 16th July 2017 at Gurunanak Bhavan auditorium from 6.30 pm onwards. 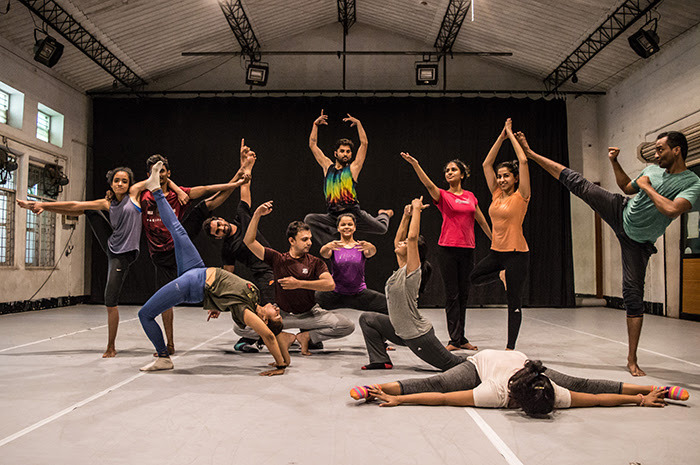 The evening will be dedicated to celebrating contemporary dance, Bharatnatyam and Kalaripayattu by the regular community class students of Attakkalari. Attakkalari strives to introduce dance to participants from different social classes. This evening of dance has been named ‘Santhulan’ which means balance. The event focusses on bringing together community and professional dancers from various backgrounds and enabling them to create work that is unique to their styles. Attakkalari runs an extensive community outreach programme in the city which involves community dance classes at the centre and modularized programmes in several educational institutes across the city and country. Santhulan 2017 is envisioned as a platform to encourage and cheer students of dance, working employees, contemporary artists, theatre professionals, regular moms, super dads, young adults, teens, and kids who regularly participate in the ongoing community classes at Attakkalari. The range of performances include socially relevant ones like ‘Om Mane Padme Hum’ (Let peace prevail on earth) choreographed by Ronita Mookerji​ which asks relevant questions about the violence around us and ‘Breaking Free’ choreographed by Snigdha Prabhakar ​that talks about breaking free from the monotony of life through dance to the ones that are short, fun, and entertaining sequences exploring technique and form. It will be a proud moment for many parents as their children take to the stage for the first time to express themselves through this wonderful medium. Tickets could be purchased online or at Attakkalari’s office on weekdays from 10 am to 5 pm. To buy tickets or for queries, call 080-2212-3684. Do join us for a vibrant celebration of dance!